GrubhHub vs DoorDash: Review + Promo Codes that Actually Work! GrubHub and Doordash are two popular food delivery services. Many cities have both, and hundreds of restaurants (a big example being Taco Bell) offer delivery through both companies. So you might be wondering how DoorDash and Grubhub stack up against each other when it comes to getting a tasty meal delivered. There are some key differences in how they set prices and how they operate. We’ll go over them all in this post. 99 cents to $7.99 plus a service fee of 7% to 15% on every order. Reviews, key partnerships, size, outside U.S., acquisitions -- biggest other than dominos? Despite growing competition, GrubHub is the biggest food delivery service on the planet, partnering with over 80,000 restaurants in more than 1,600 cities across the U.S. and London. It was founded back in 2004 by two college students who were tired of collecting paper restaurant menus and placing delivery orders over the phone. A big difference between Grubhub vs DoorDash (and most other food delivery services) is, in many cases, GrubHub simply acts as an online ordering platform, letting the individual restaurants handle the actual delivery of their food. It wasn’t until 2014 that GrubHub started hiring their own delivery drivers, making the service an option for restaurants who didn’t already have a delivery system in place. Interested to learn more about GrubHub’s history? Read our full Grubhub review here. Today, many of GrubHub’s restaurant partners still handle their own delivery — and set their own prices. For this reason, GrubHub does not offer a flat rate delivery fee or even a set range of fees, like several other food delivery services. And unlike DoorDash, which never has a minimum order, GrubHub lets each restaurant decide if they want to set a minimum amount. One great thing about GrubHub’s pricing structure is, unlike DoorDash, they don’t use surge pricing (a system of raising delivery prices, sometimes exponentially, during busy hours). Many GrubHub restaurants deliver alcohol — in the cities where alcohol delivery is allowed. This is also true of DoorDash but not true of UberEats, another popular food delivery service. Like DoorDash, GrubHub is a very well reviewed food delivery service. It has 4.5 stars on Google Play and 4.7 stars on iTunes. In 2013, Grubhub merged with rival company Seamless. Grubhub has also purchased a number of smaller services, including OrderUp, AllMenus, MenuPages, Restaurants on the Run, DiningIn, Delivered Dish, and LAbite. Recently, Grubhub bought Eat24 from Yelp for a reported $288 million. Taco Bell and KFC have recently inked a new deal that will result in nationwide delivery through GrubHub. This represents a new chapter in the GrubHub vs DoorDash saga because DoorDash made a deal to deliver from 200 Taco Bell locations back in 2015. DoorDash was founded in 2013, nine years after Grubhub. It’s well funded, and growing rapidly (available in Canada! ), but not as big as GrubHub or UberEats. In an attempt to catch up, DoorDash has talked about merging with Postmates, another food delivery service, although nothing has come of that so far. This would be similar to the strategy Grubhub took, when they merged with rival company Seamless, the same year DoorDash was founded. Similar to Grubhub, DoorDash was also created by college students — Andy Fang, Stanley Tang and Tony Xu of Stanford University. The three founders built the business using artificial intelligence to manage the thousands of deliveries. Because, unlike Grubhub, DoorDash has always relied on its own army of drivers, which they call “Dashers,” to deliver food. To better understand how to train these Dashers, the three founders personally delivered DoorDash’s first 200 orders. Another unique trait about DoorDash vs Grubhub is DoorDash has been known to deliver food from restaurants that haven’t given them explicit permission to do so. This strategy gives diners more options but has angered some restaurants, such as In-N-Out Burger, resulting in lawsuits. DoorDash suffers from no shortage of ambition, with an aggressive strategy for growth and the goal of branching into new areas of delivery (other than food), like fellow delivery service Postmates. According to Quartz, Doordash charges between 99 cents to $7.99 per order for delivery — along with a service fee of 7% - 15%. Unlike GrubHub, DoorDash does not enforce minimum order amounts. They do have surge pricing, which GrubHub does not. The goal behind surge pricing is well intentioned. Much like Uber drivers, Dashers don’t work specific hours. They decide when to come online. Surge pricing is meant to speed up delivery times by incentivizing more Dashers to work during busy hours (by offering them the higher pay). One way to avoid surge pricing is to schedule your orders in advance, before the price hike happens. DoorDash will wait to deliver them until the time you specify. DoorDash does deliver alcohol from many of its restaurants. Similar to Grubhub, DoorDash is also a very well reviewed food delivery service, with 4.4 stars on iTunes and 4.5 stars on Google Play. 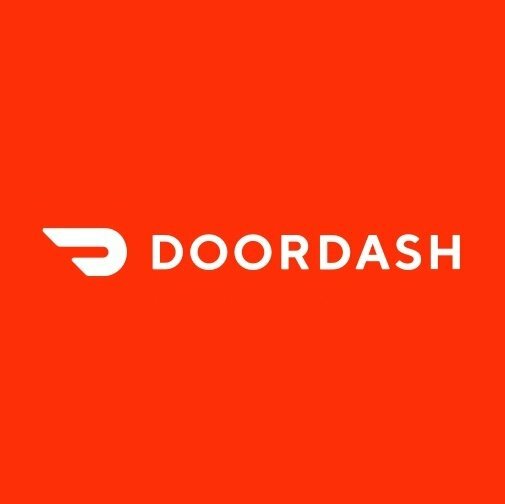 DoorDash has special partnerships with a number of popular restaurants, including Jack in the Box, Cheesecake Factory, IHOP, and Taco Bell. DoorDash recently started working with Wendy’s, shortly after UberEats (another food delivery service) began its partnership with McDonald’s. DoorDash vs Grubhub: So which food delivery service is right for you? DoorDash is great for cheap orders because they don’t have minimums. DoorDash might also be faster during buys hours, thanks to surge pricing. But this will also make your order more expensive. 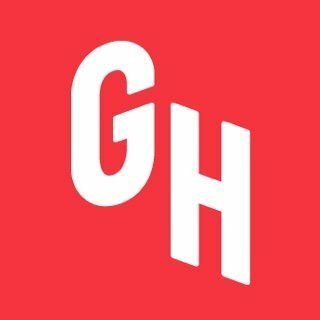 Grubhub partners with more restaurants. It will also often cheaper than DoorDash for large orders, since it doesn’t have the service fee of 7% - 15%. Both services are very well reviewed. No matter which you choose, you’ll be in great hands.